The options available for the 200 series allow for easy design when setting up a new office or planning a room layout. Our 1" thick solid lumber core shelves with a 200 LB plus rating are up to any job. 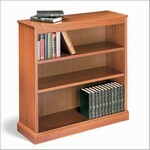 The matching 1" thick panels and top offer the sturdy appearance appreciated in any piece of well made furniture. Warranty: All cases are fully guaranteed against defects in material and workmanship for one year. 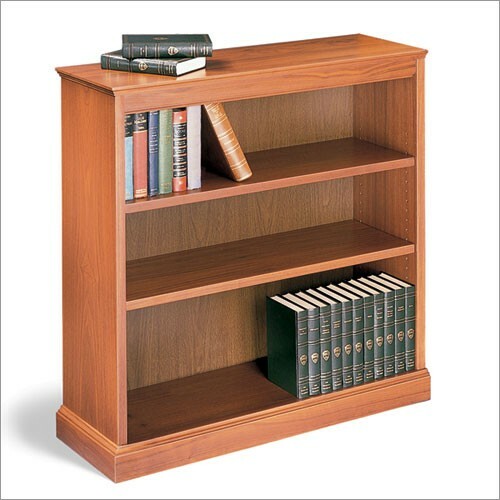 Each bookcase has a matching 1.4" printed recessed back. Sturdy leveling glides on the bottom of each bookcase assist in installation. Whether ordering a single unit or multiple units with "flush" tops for end to end grouping the cut-down option makes the 200 series the attractive yet functional choice for filling any room or office space. Add hand-hung wood framed doors with glass or wood to the standard bookcase and the results will be a high quality bookcase with the fine cabinet appearance. 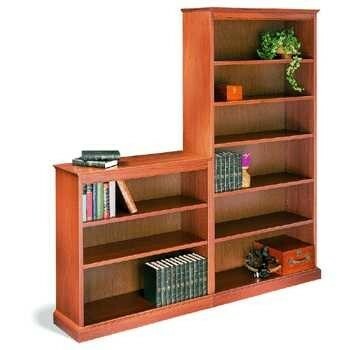 Seven-step, hand finished in standard colors or special finished to match customer request, the Hale 200 series is the answer for quality bookcases at affordable pricing. Our Price: $899.00 Free Shipping!